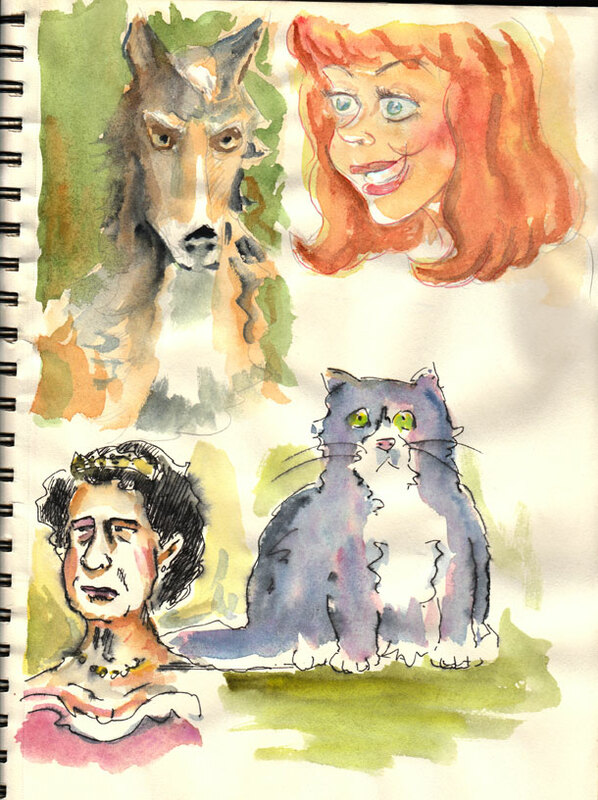 More from the sketchbook. “Tiny pict-chas,” as my sis used to refer to them, when she wanted to get my goat. I enjoy the line made when the black roller pen gets wet, and mixes a little with the colour.